The combination of a failed run for school board, a casual post on the Nextdoor app, and an NAACP meeting may seem like the add up to an unlikely origin story for Richmond’s most talked about new radio show. However, taking the mundane machinations of city government and injecting them with personality and civic spirit could practically be the mission statement of RVA Dirt’s Municipal Mania. Two years ago, Melissa Vaughn — the volunteer coordinator for WRIR 97.3 — posted on the Nextdoor app hoping to start a community conversation about the 2016 elections in the River City. Northside resident and, at that time, School Board hopeful Jessee Perry immediately responded. By the time they were engaged in a mutually passionate diatribe against political signs on abandoned houses, the two ladies knew they were onto something; if the lack of municipal engagement in Richmond could get them both so worked up, then there must be other Richmonders passionate about improving local politics. That’s when Francesca Leigh-Davis, floral designer and Twitter neophyte, found Melissa and Jessee. Fran launched her Twitter presence shortly after the ascension of the Black Lives Matter movement into popular parlance, and began weighing in on Richmond’s long legacy of racial injustice. When the three finally met in person at an NAACP meeting on local government, the chemistry was irresistible, and RVA Dirt was born. The ladies of RVA Dirt don’t see themselves as revolutionaries. “Most of the stuff we say on our show, Municipal Mania, is already said behind closed doors. It just never makes it to the public,” explains Perry. “Our goal is to vocalize non-mainstream opinions to make space for other people to take new and interesting positions on local issues, because there’s not enough of that in Richmond right now,” elaborates Vaughn. A lot of the “dirt” they dish out would be easily available on the website of any other American capital city. 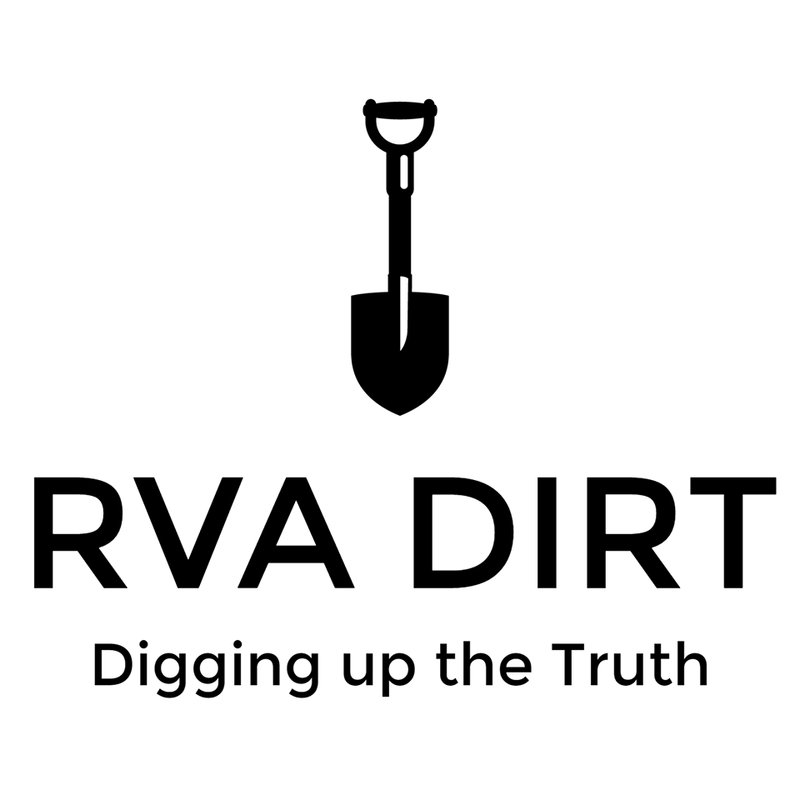 In fact, the members of RVA Dirt frequently find themselves inundated with private messages from people — even sometimes city officials themselves — in search of official documents and plans. Richmondgov.com’s many broken links are a perennial source of frustration; all three cackle as they recount the numerous pages on the city’s website which still have former Mayor Dwight Jones’ name on them. The three ladies’ diverse perspectives and backgrounds not only allow them to cover the city’s shenanigans from a wide range of angles, they have arguably made RVA Dirt into the epicenter of local political discussion. Since beginning to live-tweet city council sessions, they’ve noticed attendance and community participation climbing. Even those unable to or uninterested in going to the council meeting in person are able to follow all the drama of the week’s session via the group’s lively twitter thread. This week, they covered drier policy changes like the new scooter ordinance, the long-awaited approval of the Brook Road bike lane, and the expansion of VCU Police’s jurisdiction with as much gusto as the controversial comments by Councilwoman Trammel referencing “Hispanic-speaking” people and disparaging renters. Their dedication to encouraging civic activism and service as a new watchdog of local government earned them a spot last year on Style Weekly’s Top 40 Under 40 list of youthful Richmonders shaking up the city. In 2017, Melissa wrote on Jessee’s calendar under her own (38th) birthday: “just two years to make 40 under 40,” but when what had been nothing more than a long-running inside joke became reality, all three were taken by surprise. The ladies of RVA Dirt hope to build off this momentum in 2019 and convert their brand into full-time paid positions. With Vaughn’s skills in administrative work and audio production, Perry’s expertise in messaging and communications, and Leigh-Davis’s experience in event planning, they hope to figure out a way to get paid to gather and share the critical civic information they currently do for free. In the meantime, those who would like to support their work are encouraged to contribute to the RVA Dirt Patreon, where different levels of support earn sponsors varying levels of access, ranging from blooper reels to extended original content and in-person, snack-fueled meet and greets. You can learn more about your government through facts, interviews, analymaisis, and plenty of snark with the RVA Dirt girls on WRIR 97.3 every Wednesday from 11AM-12PM or check out past episodes on their SoundCloud. You can also get tickets to join Francesca, Jessee & Melissa at WRIR’s 14th Anniversary Party on February 1st where they will be the emcees.